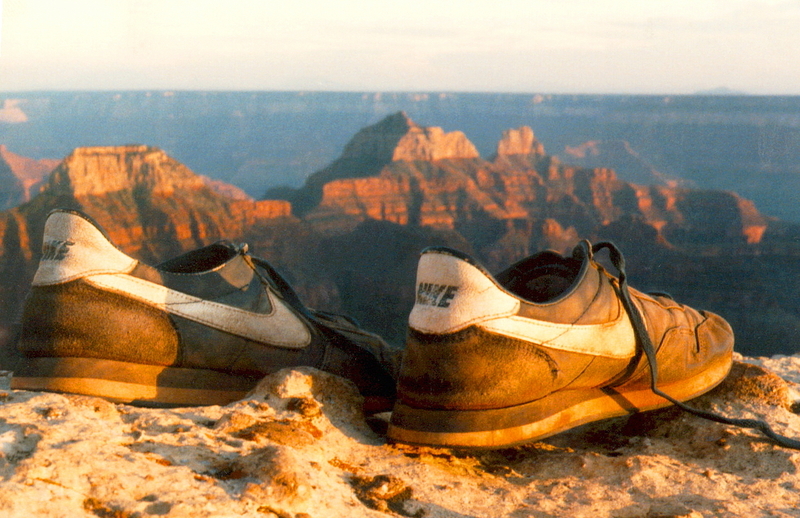 Over the edge, a photo by The Bacher Family on Flickr. 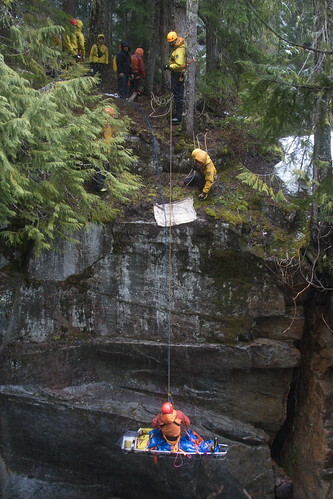 Here's another favorite from my series of photos from Rope Rescue Training at Mount Rainier National Park. The snow had stopped for a few minutes, so for once you can see across the canyon and into the trees to all of the gortex-clad rangers monitoring the ropes. Everyone has a job to do, and only one of them is lying down on the job -- the one strapped into the gurney. Which, if it were me, would be the hardest job of all.